I think people who don’t write have a notion about how the process goes. They think that a writer gets an idea, mostly fully formed, then they sit down and plot the book out, crafting all the twists and turns on paper before they ever start writing. The writing is of course an idyllic time of peace and tranquility punctuated with tea and scones in the afternoon and long gazes out a window filled with inspiration. Even stranger, I knew this name had a specific presence. I knew what he looked like though I can’t tell you how because honestly I never saw him in a dream or anything before that. I also had a gut-suspicion that he was a real person though I don’t think I had ever seen him before or knew who he was prior to that morning. I loved this, Staci! The surprises are the best. Congratulations ! Never a dull moment when you follow God! Thanks for stopping by! It is always interesting to hear how God leads . His ways are so different from ours! Always reminds me that I’m not the one with the ultimate plan. That’s a beautiful story about God’s leading role in your writing. Thanks for sharing. That’s an amazing history behind this story. I love it when God lays these things in our laps. God amazes me every day! Have a wonderful day! What a fascinating journey. Thank you for sharing it. Walking with God is a fascinating journey! No end to the surprises. God bless you! Love your description of how this story came to be. Sounds like a great one! Trust in God with all your heart…. no matter what the world looks like. That’s what this story taught me. Great story! I’m eager to read it! Thanks so much for stopping by and sharing a few minutes with me today, Margaret! May God bless you and your day! I’ve never started with just a name (that I remember), but often the threads at the beginning are, indeed, thin. I love seeing how a story fleshes out from the barest beginning! God, the creator, made me in His image and that means I, too, can create something out of nothing… with His hand guiding mine. 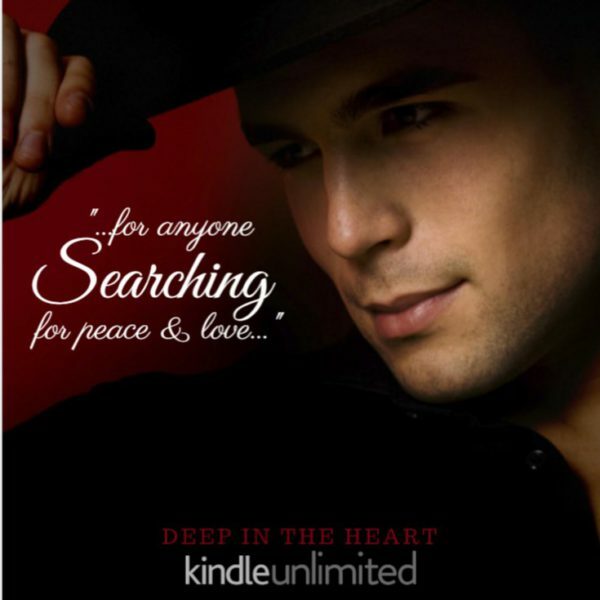 Staci…I have read Deep In The Heart and enjoyed it very. Thanks for the back story. I would highly recommend Deep In The Heart. Awesome! So glad you enjoyed it, Nancy! Have a blessed day! I loved reading this and seeing how God works in the lives of authors. I’ve read several of your books and have enjoyed them all so much! Thanks for sharing your time and talents. I love sharing my time and talents with those who get something out of it. Thanks for reading! I have a friend a Christian friend who is struggling with her 1st novel. She’s written the 1st chapter & then ending, but has no idea how to proceed. I encourage her to Free Write for a while, not focusing on her story, suspending her inner critic, & to trust God. From what you said, her struggle isn’t unusual. I loved Deep in the Heart. I am always moved by your books. Thank you for sharing your gift. Thanks for reading them! God bless! I’m glad even your own stories take you by surprise!